With the District of Columbia ready to make a strong run at luring the professional football franchise back to the place it represents, Gov. Larry Hogan appears ready to call a Hail Mary to try and keep the team from leaving the free state. According to MarylandMatters.org – an independent, non-partisan, non-profit website that covers state politics – the Hogan administration reached the parameters of a deal with the U.S. Department of Interior to gain control of land near National Harbor as part of a strategy to keep Washington’s NFL from heading back to D.C. The memorandum of understating involves a 300-acre tract at Oxon Cove Park, which is located inside the Capital Beltway just prior to the Woodrow Wilson Bridge. This clandestine deal was reportedly negotiated between Maryland officials in September 2017 but wasn’t made public until a recent story published in The Washington Post. It also reportedly involves two separate letters from Hogan and former Prince George’s County Executive Rushern L. Baker sent to President Donald J. Trump to request the Department of Interior transfer the site to the county. 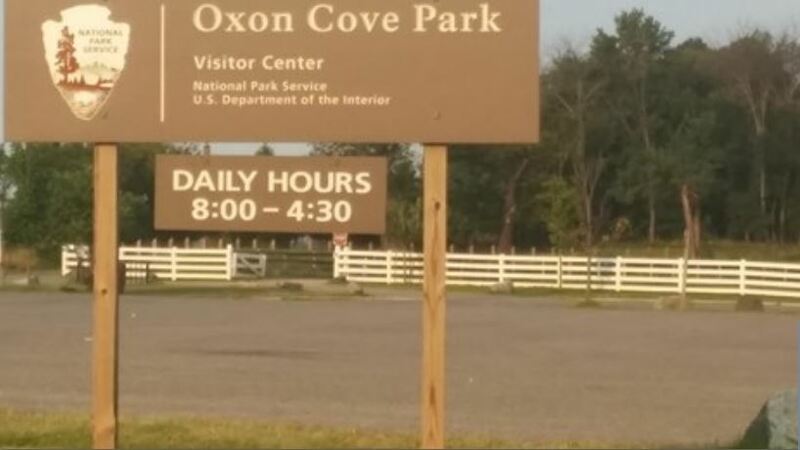 Maryland’s new potential home site being eyed for a possible NFL stadium is home to two popular attractions — the Oxon Cove Park and Oxon Hill Farm – that were listed on the National Register of Historic Places in 2003. According to The Post, the city’s lease on the stadium site, with the National Park Service, states the land must be used for “stadium purposes” or “recreational facilities, open space or public outdoor recreation opportunities,” only excluding commercial development. Washington’s NFL franchise has played in front of more empty seats despite a season where they remain in contention for the playoffs. However, despite the efforts of the new aggressive marketing team, they haven’t been able to improve the overall fan experience. Most games are filled with fans of opposing teams who purchase unused season tickets from disgruntled owners choosing not to brave the elements or deal with traffic problems heading into and leaving games. The original configuration has been altered as the team has removed thousands of seats due to declining fan interest. A new generation of fans – without allegiance to days when the franchise was among the NFL’s elite – have grown alienated and are not continuing the legacy of watching games in the stadium. During this dismal era – since Daniel M. Snyder wrestled the franchise away from Jack Kent Cook heirs – the organization confirms there is no longer a waiting list for season tickets. Another suburban Maryland stadium as home for the franchise appears to be a difficult sell for the fan base that has become disillusioned with traveling to FedEx Field, which has become antiquated. Despite attempts to remodel the facility it remains less than state of the art by standards set by the new generation of stadiums around the NFL. Snyder reportedly commissioned an architect to begin design work on a new stadium that would revive memories of RFK Stadium although the lease at FedEx Field runs through 2027. The Post also reported that the organization and certain congressional leaders are pushing for a provision in a federal budget deal that would enable the club to build a new stadium at the site of the old RFK Stadium in Northeast, D.C.
Amelia Chasse, Hogan’s communications director, reportedly said he has met with Snyder at least twice to discuss the Oxon Cove site as an ideal location for a new stadium. However, elected officials in Prince George’s County feel they’ve been made bystanders on a high-profile project that would have a major impact on area residents.